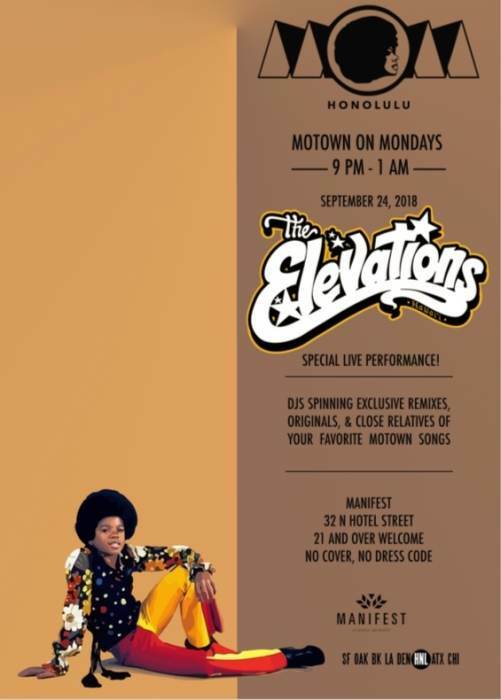 The Elevations Hawaii will be performing at "The World's Largest Weekly Dance Party" -- Hawaii style! Let's boogie down and help celebrate our very own guitarist, John Leblanc's, birthday! 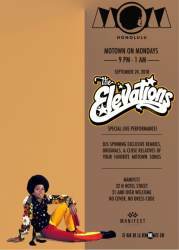 Motown on Mondays is A GLOBAL MOVEMENT... MoM events have landed in every major market across North America and beyond. Having touched down in over 33 cities worldwide and currently hosting regular events in 15 of them, MOTOWN ON MONDAYS is arguably the world’s largest weekly dance party.